When I was in Korea I was obsessed with buying sunscreens. I was looking for two types: (1) A moisturizing, essence formula for cold, dry weather; (2) A light, watery type for warmer weather. All of them had to have a moisturizing element, be lightweight, non-greasy, have 4 +’s, have an SPF higher than 40, and don’t leave a white cast. Basically, I was looking for a moisturizer-like sunscreen. One contender that met my requirements is the Mediheal Labocare Pantenoide Sun Essence SPF 50+ PA++++. Mediheal’s Labocare Pantenoide Sun Essence is a hydrating, water-based sunscreen that guards against UVA and UVB rays. Formulated with panthenol and madecassoside, this sunscreen boasts moisturizing and soothing properties. It is SPF 50+ PA++++ and leaves a moist and tacky finish. I purchased this 45ml bottle for about $9 at Watsons. The star ingredients here are Panthenol and Madecassoside. Panthenol is a form of vitamin B5, and is used as a moisturizer and lubricating compound. Madecassoside is a compound found in Centella Asiatica. This is an antioxidant that can help to revitalize the skin’s surface. This sunscreen is definitely a must have for anyone with very dry skin. I started using this in Korea where it was skin-cracking dry, and my face loved it so much. I never looked greasy thanks to it! Back in the bay, I can skip moisturizer because this sunscreen just does it for me. The texture is wonderful for cold, dry weather- it’s lightweight, extra hydrating, and applies just like a regular face moisturizer. It has a light clean fragrance, but isn’t overpowering or irritating. As it claims, the finish is slightly tacky, but I love that for my matte base makeup because it grips onto it very well and the finish ends up looking satin. For $9, this sunscreen is awesome! I haven’t seen any new sunspots on my face either so it has definitely been protecting me well. If you've got dry skin and are looking for an affordable sunscreen I highly recommend this! It doesn’t seem to be a popular product in the online world, but it was nearly sold out at Watsons! 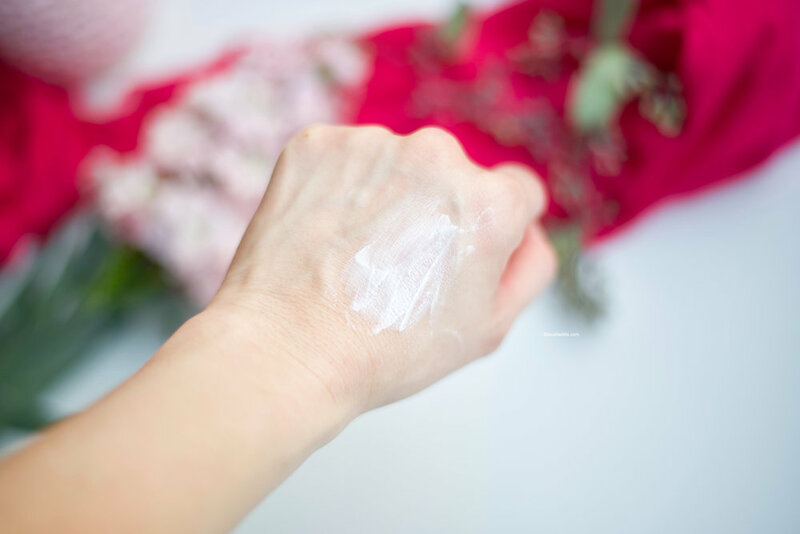 Don't forget to use sunscreen daily to prevent wrinkles, sunspots, and scars! * I haven't purchased anything from this website before, but this was the top result I got when I did a search. Unfortunately, it's currently not available via Amazon.